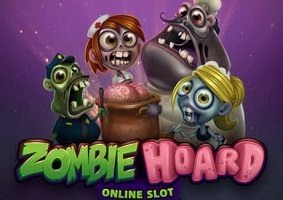 Zombie Hoard Video Slot is hot off the production line and available at all recommended Microgaming Casinos. The “Zombie Culture” is pretty much more Alive than Dead in spite of the fact that they don’t seem to know who they are or where they going. Zombie pop-culture is very much alive in the entertainment areas with television and entertainment companies taking full advantage of its popularity. It’s a real chain rattling five reels x nine paylines Zombie Hoard as you make your way through the city in search of the perfect stockpile of food. Your food is basically presented in the way of brain tokens and these are collected throughout the game. Super stacked wilds appear randomly on reels 3 and 4 and ensures that zombies and winning combinations lay in wait. The more brain tokens collected, the more free spins are awarded once the bonus game has been triggered. Once 30 brain tokens have been collected, acting in a very similar way to a scatter symbol, the free spins bonus game is triggered. 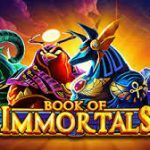 In other words there are two ways of activating the Free Spins. 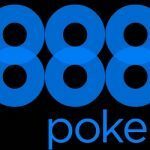 Three or more of the slot’s actual scatter symbols anywhere on the reels will also activate the Free Spins. During the bonus game, a 2x multiplier is applied to all winnings. 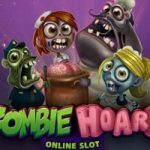 Zombie Hoard is a great gathering the likes of which has not been seen in the slots world before. The fun is almost as contagious as the touch of the not so dead. 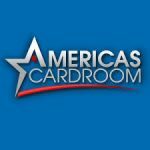 This entry was posted in Casino Blog on March 18, 2019 by admin.